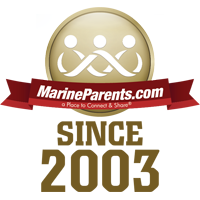 Retrograde is the return of deployed Marines, better known as homecoming for our Marine parents, spouses, family and friends. Homecomings includes return from MEUs/floats as well as in-country deployments (overseas stations). Please understand that the return dates and/or flight windows for homecoming is subject to change at a moments notice; read below for possible reasons why. When and if you are making travel plans to attend homecoming reunions, remember you may need to make changes; so plan to be flexible. The USMC certainly would like to be able to give a firm date, however, it's just not possible. 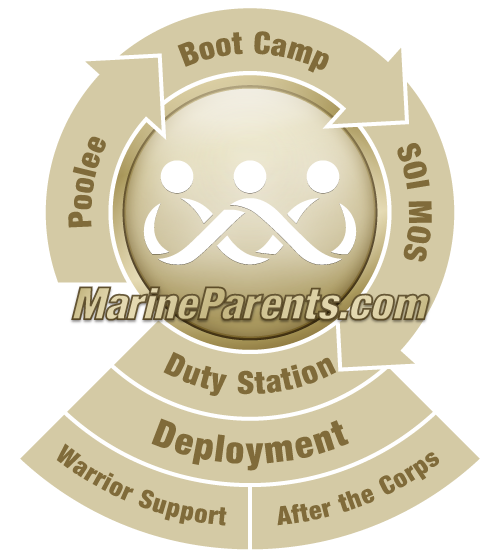 These days, the fastest way to find out information about homecomings will be to contact the DRC (Deployment Readiness Coordinator) or through the Family Readiness Module on MOL. Ensure your Marine has you listed on his contacts list on MOL prior to deploying so that you will have authorization to receive the information on return dates. You may not get much notice of the official homecoming date. With that in mind, you may want to start making travel plans when you hear an official flight window. Be flexible and ask for policies from each company you work with when making reservations. Airline Reservations: Notify the airline when you are making reservations that your Marine is returning from deployment and the plans will likely change. Ask if they have anything in place to guarantee lower-cost penalty fees. Some offer insurance. Consider flying an airline that has no penalty for changes. Consider using a travel agency that may offer some type of discount or insurance against changes. Ask first and use your own personal judgement and budget as a guide! Hotel Reservations: Pad the number of days you reserve the hotel room, both on the front end and the back end. 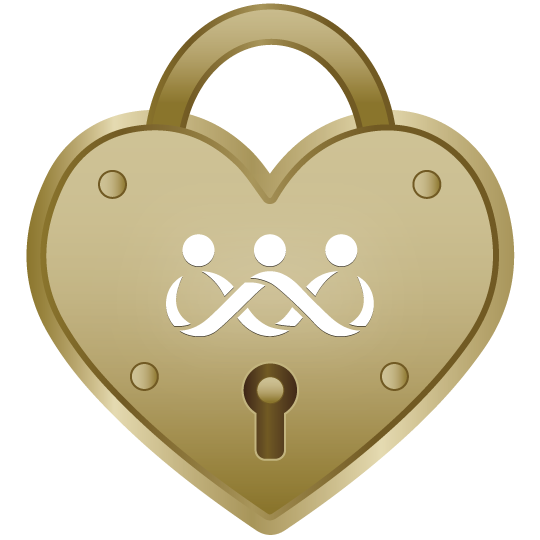 Let the hotel know that your plans may change, and get a clear understanding of the hotel's policies. Rental Car Reservations: Reserve early, but again, pad the days. Generally, the earlier you reserve, the better the rate. Subtracting days does not seem to affect the quoted rate as much as adding days. Ask for the company policy. From Debbie, Marine Mom to Ryan of Simi Valley, CA: There is some frustration that all military family members are feeling with regard to rumors dates/changes of dates of "Homecomings". I think it is very important to support one another and take comfort in the fact that we whom have family serving our country - still in Iraq - are not alone. But I feel very strongly that we as parents, wives, and family need to continue to support all of our military; complaining about the deployment only adds to the frustration of our troops. Keeping up their morale should be our focus; supporting & encouraging them. The days are long, the nights can be even longer, but not nearly as long as the brave strong military member working in 130 degree heat with none of life's luxuries. I can go cry at the beach and pick up dinner on my way home. Watch a movie or go to the mall. Yes, freedom that they don't have but continue to fight for. Whether or not you believe or agree with the military and the plans they've put in place - you owe it to your Marine to continue to support them both privately and publicly. This is a very brief outline of how "most" homecoming procedures happen. Generally the unit will return the same way they deployed. For example, they originally deployed via commercial and/or military flights, they'll likely fly home. (In some instances, the DoD contracts with commercial airlines for flights. The contracted flights carry military personnel only and the flight numbers are not publicly available. The commercial flights generally fly in and out of military installations, not public airports.) If they were on a float, they'll return via float (ship). Unit will receive official orders that they can return to deployment base. Unit is on a waiting list to be assigned to a "Flight Window". "Flight Window" is assigned. This is generally a 3-5 day span of time that the military expects to put the Unit on a flight back to the states. Flight Announcement will be given for the actual date the flight will depart from the combat zone and/or arrive back in the United States. The Marines board a bus (in some instances several busses) bound for the base station. The Unit arrives at the base station. Generally the Marines will need to check in equipment prior to arriving at the reunion site. Family will meet Marines at the designated homecoming reunion site. Some units will get a 72 or 96-hour off-duty time to spend with their family. After the initial 72-96 hours off, most units will remain on duty at the base for about 2 weeks. Those two weeks will include working hours as well as briefs for transitioning out of a combat zone back into the US. Most units will schedule a unit block leave of up to 30 days. Marines will have the option of taking time off during the block leave. Marines will use their accrued leave time, and in some instances, the Marines are allowed to "borrow against" future accrued leave time. Leave time varies from Marine to Marine, as well as from unit to unit. Of course those coming in on ships that were deployed from other bases (both east and west coast) have quite a bit of lead time and you will likely get communication from your Marine and/or the news media. Rumors seem to travel faster than news. Even the Marines in the field are subject to rumors and unclear information. Be careful of passing on rumors and try to verify any information that is given to you 'second-hand'. Label unverified information as a potential rumor prior to passing it along. The military is constantly planning. Military planning is in constant revision based on an almost endless number of factors and situations and world events. Because of this, it will take a decent amount of time to firm up plans for bringing troops home. Prioritizing troop movement to home. Troops with medical needs and former POWs will take priority over all other troop movements to return home. Please keep praying for the safe return of our Marines and the troops, all the way to the United States of America.